We all know that Morzine is the perfect resort for families to learn skiing and snowboarding, with a large amount of family activities and a range of ski school levels this doesn’t just apply to kids learning the ways of the mountain! Our friend Kate who runs the successful blog/website; Mummy Snowboarder knows this well. She has visited Morzine with Mountain Mavericks for years and her main passion is getting out on the slopes and snowboarding! 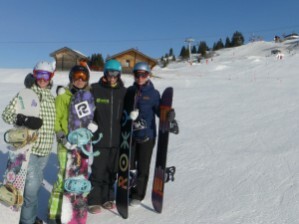 She comes out with the family and on girls trips, her most recent being a few weeks back making the most of Chalet L’Ateilier with girlfriends: Tina and Claire staying with the pro team from Planks Clothing. Kate has clearly seen a niche in the market, which is only growing with accessibility to snow in both the UK and in Europe with cheaper air fee’s. Her message is simple, give it a try and you may fall in love with it! Whether you put down the ski boots for more comfortable boots permanently, or you just give it a try for a day of your week long holiday, her website gives you all the information you need to give it a try. We like to think the reason she stays at Mountain Mavericks is the ease of getting to the slopes, having the availability of child care easily, and as we can accommodate for long or short breaks. 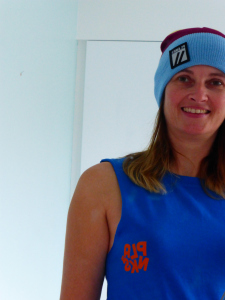 Either way; we love having her back andsupport Mummy Snowboarder hugely! If your interested in giving snowboarding a go, just give us a shout on thechalet@mountainmavericks.com and we’ll sort out everything for you so you can practice balancing on your ironing board!